Retalon, a leading provider of business specific predictive analytics teams up with, Compliance Networks, a leading provider of cloud-based supply chain software solutions to enable retailers to leverage supply chain performance improvement and inbound visibility, while enriching the data feed to predictive analytics. The result is reduced supply chain variability, and more sales and profits from stores. 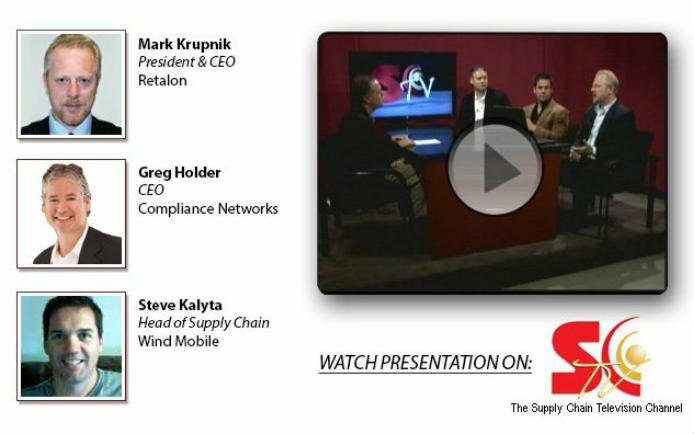 Retalon president & CEO Mark Krupnik is joined by Steve Kalyta, the head of supply chain at Wind Mobile, and Greg Holder, CEO of Compliance Networks on The Supply Chain Television Channel. Predictive Analytics & Perfect Logistics Execution.